The world's best golfers embark on Bellerive Country Club in St. Louis this week for the 100th PGA Championship. The final golf major of the year always provides plenty of excitement as the 156 player field tees off for the $1.9 million winners' prize. World No.1 Dustin Johnson heads the betting markets at 10.00 but Justin Thomas is the form player in the field and the 2017 PGA Championship winner is coming off a stunning win in the WGC Bridgestone Invitational. It's another wide-open tournament, however, and punters will get to see some quality golf throughout the week. 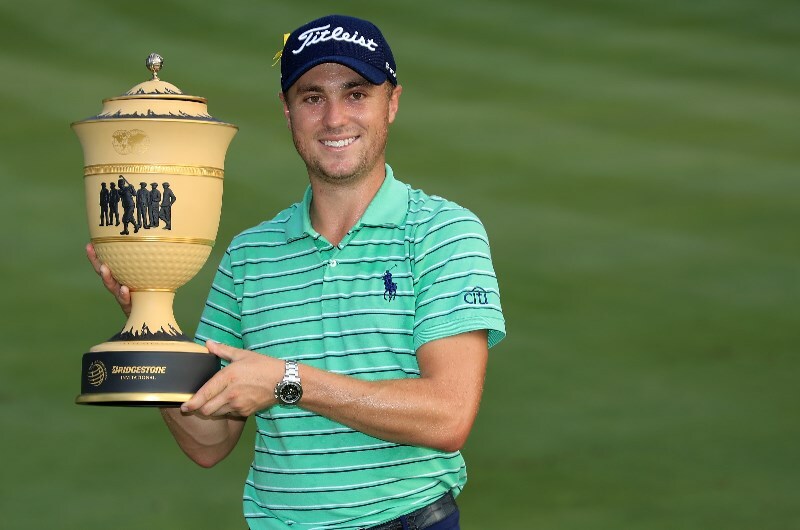 2017 PGA Championship winner Justin Thomas is in hot form after scoring his third win of the season in the WGC Bridgestone Invitational last week. The 25-year-old, who was named 2017 PGA Tour Player of the Year, is striking the ball beautifully and he can't be left out of selections at Bellerive this week. Thomas shot -15 at Firestone to score by four shots over Kyle Stanley and confidence is what Thomas needed heading into the PGA Championship. It's never easy to win consecutive golf majors but Thomas is playing well enough to see out all challengers. Bookmakers didn't take his Bridgestone win as seriously as they should have and punters are getting a great value price of 15.00. We're having a hard time to figure Rickie Fowler out. The Players Championship winner has yet to score a win in a major and his inconsistency makes him tough to follow, but it's inevitable before he wins a major. The Californian is always around the top of the leaderboard come Sunday but he hasn't yet shown the ability to close out the tournament. His +3 round on the final day at Firestone was disappointing and he will need to bounce back in order to win, but he's a solid top five pick. Fowler is currently 19.00 to win and bookmakers will be offering around 4.00 for a top five result. Matt Kuchar won't be the most popular pick with most punters but the 40-year-old deserves a major and he showed good form last week. Kuchar finished in a tie for 14th at Firestone and he has shown over the years that he's good enough to be in contention on Sunday. The odds for Kuchar (61.00) might be overlooked by punters but he's always a solid top-10 play and the odds make it even more appealing.